This morning I woke up and wanted cherry danishes but it was too cold outside for me to consider the journey to the bakery. I would’ve made cherry danishes, but I had no cherries. So I made plum danishes. They were really good. No, but seriously, they were really good. It doesn’t really matter though if it’s easy or hard to make laminated dough, the reason being it doesn’t make much sense to make your own dough when it’s pretty cheap in the store and will save you hours of work to buy it there (plus it tastes fine). Unless, of course, you’re just doing it to convince others that “it’s easy”. I haven’t ever made puff pastry before, because you can find an alternative in the store that isn’t a lower quality and saves a lot of time. For these danishes I wanted to do a semi-laminated dough that doesn’t take as much time to make as puff pastry but still tastes great just because I wanted to try to make something new. 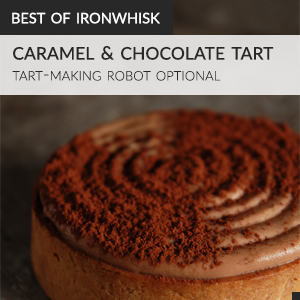 I encourage you to try it, because it’s quite fun, but you can always buy puff pastry from the store and use it instead. The reason that it’s semi-laminated is that there are still layers, and there is still butter, but the butter is a part of the actual dough (unlike laminated dough which is alternating layers of butter and dough). 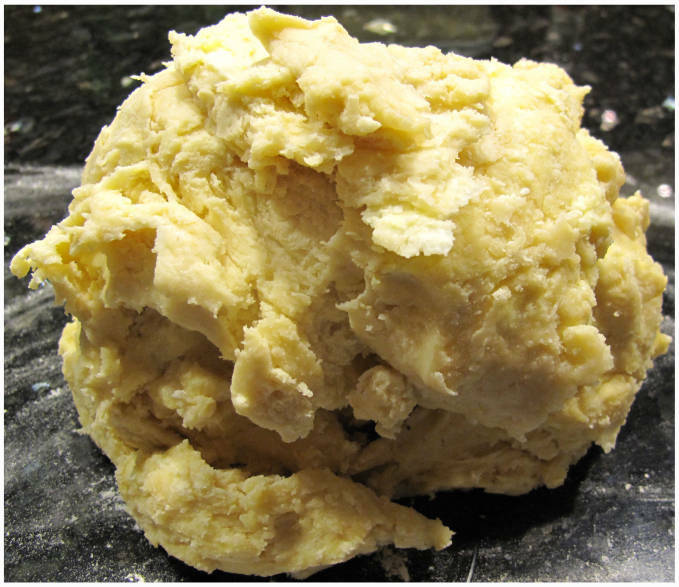 Your dough will look something like this when you mix all the ingredients together with either an electric mixer with a dough-hook attachment, if you cut butter into the dough with a pastry blender, or if you even use two knives. You then let it sit in the fridge for four hours (or overnight) covered and then pound/flatten it into a roughly 18-inch square on a very well floured surface when it’s not too hot (you don’t want the butter to melt). As you can see there are butter pieces scattered in the dough. This is fine. Do not panic. The next part makes it laminated because what you do is you imagine that the dough is divided into thirds length-wise. You then fold in the two outer-thirds into the center-third. This should give you a long rectangle. Then, fold in the top and bottom thirds into the middle-third to get a square. 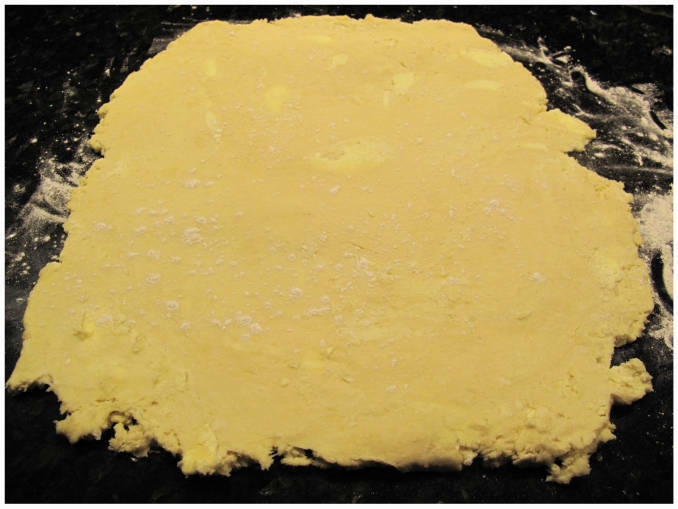 Roll out the dough into a large 18-inch square again and fold it again. Then let it rest in the fridge for half an hour, take it out, roll it out, and fold it the third time. Wrap it again, and chill for thirty minutes before using. Meanwhile, chop up your plums, combine with sugar, water, and vanilla, and cook on medium-heat until the fruit is soft. 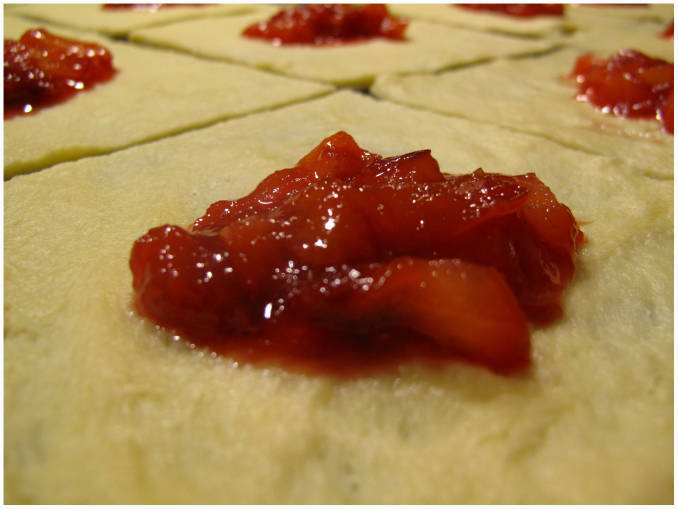 To use the dough roll it out again and cut it into sixteen squares and divide the filling equally between the squares. Brush the sides of the square with an egg-wash (an egg and a tablespoon of water) and fold two of the corners. Brush the top with egg-wash and sprinkle with brown sugar. Place on parchment paper and bake until golden brown at 350°F (about thirty minutes). If you’re unsure when they’re done, cut off a piece of the dough while they’re baking… if it has a strong yeast taste they’re not ready. 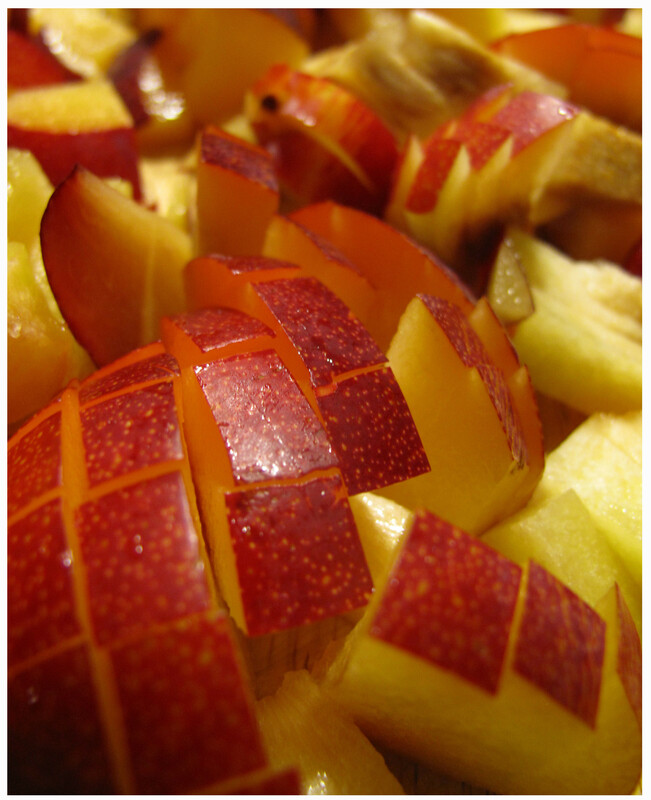 You can use pretty much any fruit by substituting it for the plums. 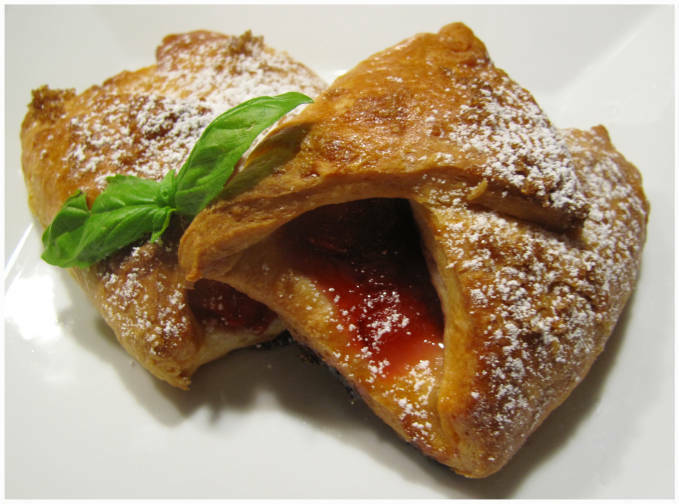 Recipe and instructions for making this classic danish pastry using an easy laminated dough filled with plum compote. Dissolve the yeast and the one teaspoon of sugar in lukewarm water and let stand for 5 minutes. Stir in cream, cinnamon, nutmeg, salt, eggs and sugar. In a large mixing bowl, add flour and chunks of butter, use a pastry blender, two knives, or an electric mixer with a dough-hook attachment to further cut the butter to the size of kidney beans. Add the yeast mixture into flour mixture, combine carefully with a big rubber spatula, until the mass is just moistened enough to hold together. Cover, refrigerate 4 hours or overnight. 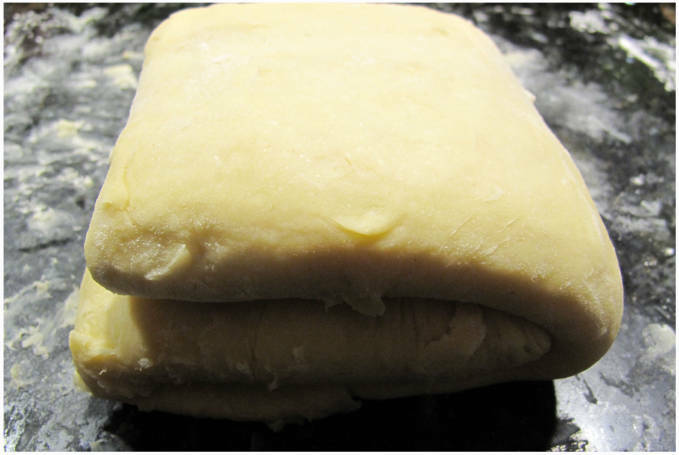 To do this step, please ensure your room very cold: lightly flour the work table, turn out the chilled dough, pound and flatten to make an 18-inch square. Fold into thirds making 3 layers vertically and horizontally to get a square. Roll out again and repeat folding. Cover/wrap and let chill in refrigerator for half an hour, then repeat rolling and folding one more time. Wrap and chill the dough 30 minutes. Chop up the plums and add to a pot with the other ingredients. Cook on medium-low heat until soft. After rolling the dough out once more to create an 18 inch square, and cutting it into sixteen squares, divide the filling among the squares. Brush the sides of the squares with an egg-wash (an egg and a tablespoon of water mixed together), fold two corners into each other, brush the top with the egg-wash, sprinkle with some sugar (I used brown sugar), and bake until golden brown at 350°F (about thirty minutes). If you're unsure when they're done, cut off a piece of the dough while they're baking... if it has a strong yeast taste they're not ready. I was brought up in a very poor family where we don’t know where the next food well come from,without food i find it hard to think properly. but one thing that remain in my mind till date is who to produce a product that is not locally available. since hunger drive me to have passion in food, i started looking in that direction. pastry is good business in my country Nigeria,said to say no one seem to get it wright. even though they do, it is out of reach for the common man. Thant is where now i no see opportunity to source for a new product out side the shore and how can i produce it and sell. but first how can i know how to prepare it eg Croissant Ispahan and if i can not get the ingredient locally can you supply me to Nigeria?